2016-2017 Germany Home Mini Kit (Reus 11). 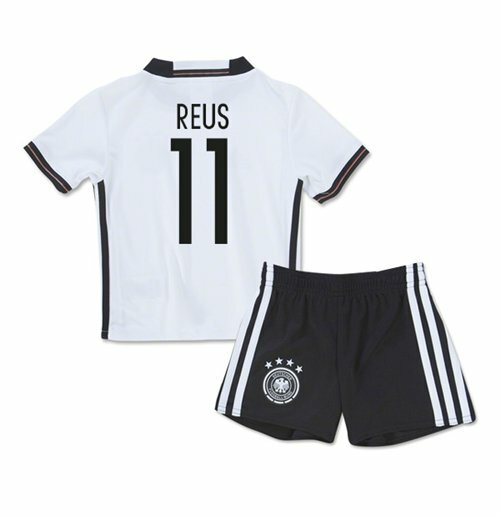 Buy theA Marco Reus football shirtA for the German National team. This is the newA Germany home Mini Kit for theA Euro 2016 Finals which is manufactured by Adidas and is available in Mini Kit Sizes.ThisA Germany Football Kit is white in colour and comes withA Marco Reus shirt printingA on the jersey.